One of the countries newest premier golf club, the Boulder Creek Golf Club, designed by Mark Rathert. 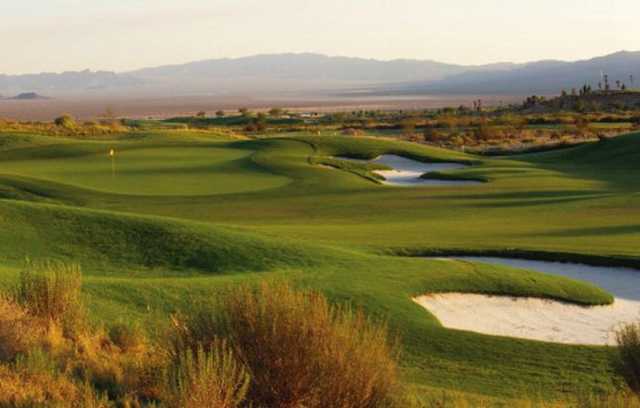 Mr. Rathert has created an enjoyable and fair golf course with all golfers in mind, creating six teeing grounds stretching from 4900 to 7600 yards. With open fairways, no blind shots, and no hidden hazards, Boulder Creek Golf Club offers great golf in a great atmosphere. You can look out and see the streams and waterfalls as you leave the Clubhouse, and as you play the first holes you have beach bunkers and palm trees and the effect of an oasis look.